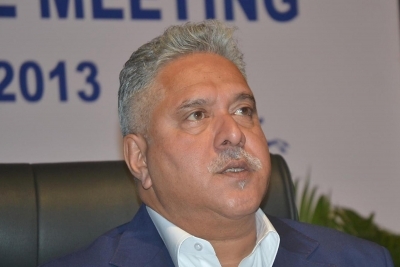 New Delhi Sep 14 (IANS) The State Bank of India (SBI) the lead lender to the now-defunct Kingfisher Airlines on Friday denied reports of any laxity in moving the court to stop industrialist Vijay Mallya from fleeing abroad. The Congress said on Friday that a consortium of banks led by the SBI had met Supreme Court senior advocate Dushyant Dave on February 28 2016 for advice in the Mallya case. On Thursday Dave went on record that he advised the SBI management to move the Supreme Court the next day and get Mallya s passport confiscated. "The SBI denies that there has been any laxity on its part or its officials in dealing with loan default cases including Kingfisher Airlines. The bank has been taking proactive and strong measures to recover the defaulted amounts " the lead bank said in a statement. Mallya who has been facing legal proceedings for defaulting on loans of over Rs 9 000 crore left the country on March 2 2016 while 13 banks from the consortium moved the court four days later to seek its intervention to prevent the liquor baron from leaving the country. The SBI as the consortium leader of 17 banks had moved the Debt Recovery Tribunal in Bengaluru in early March 2016 against the defaulting businessman and had sought impounding of his passport.